Cats are very picky creatures. 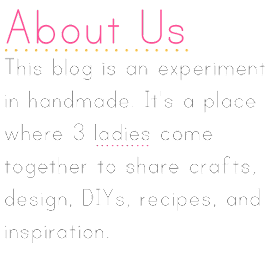 When I find a product that they love, I cling to it. 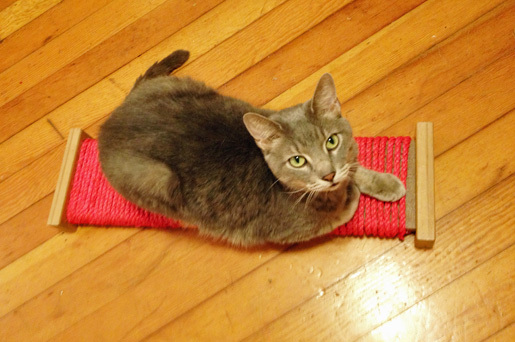 I got a beige floor cat scratcher about 6 months ago and the cats loved it. 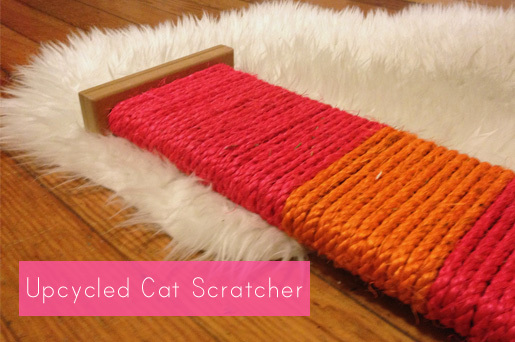 Anything a cat loves gets destroyed, naturally. 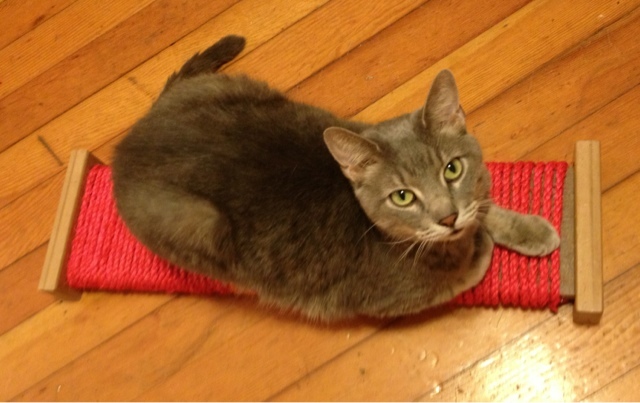 So I decided to repurpose it with a non-toxic sisal rope with a little more color. 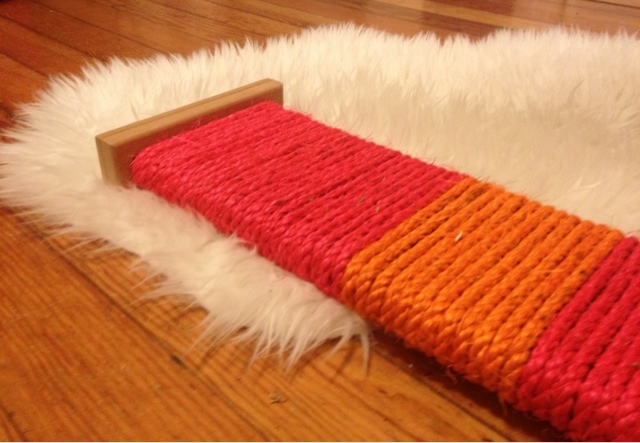 I got the sisal rope from this website: http://pet-rabbit-toys.com/store/diy-rabbit-toy-parts/10-ft-1-4-colored-sisal-rope. 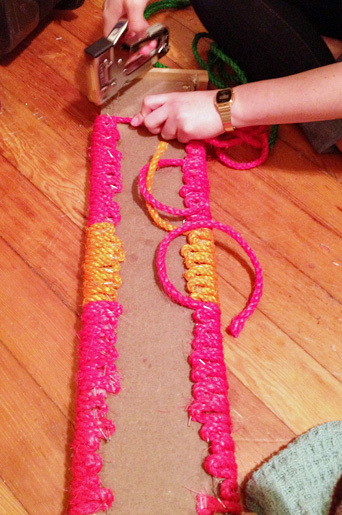 You need about 60 feet of 1/4 inch sisal rope, a staple gun, upholstery staples, and a base to attach it to. This base I have is very simple. Just one long board and two smaller to keep it elevated from the floor.